This is a simple story with charming illustrations that is geared toward young children. 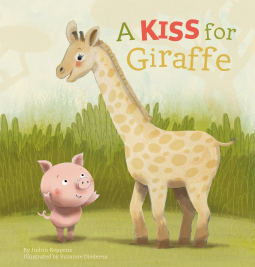 Piggy wants to give Giraffe a kiss but can’t figure out how to. Giraffe is tall while Piggy is not. What should Piggy do? Young listeners will find out by the end. Thanks to NetGalley and the publisher for this toddler book.